Achieving a manageable work-life balance can often seem impossible. When you start devoting too much time to your career, personal issues can arise, and when you take too much time off your professional productivity inevitably suffers. 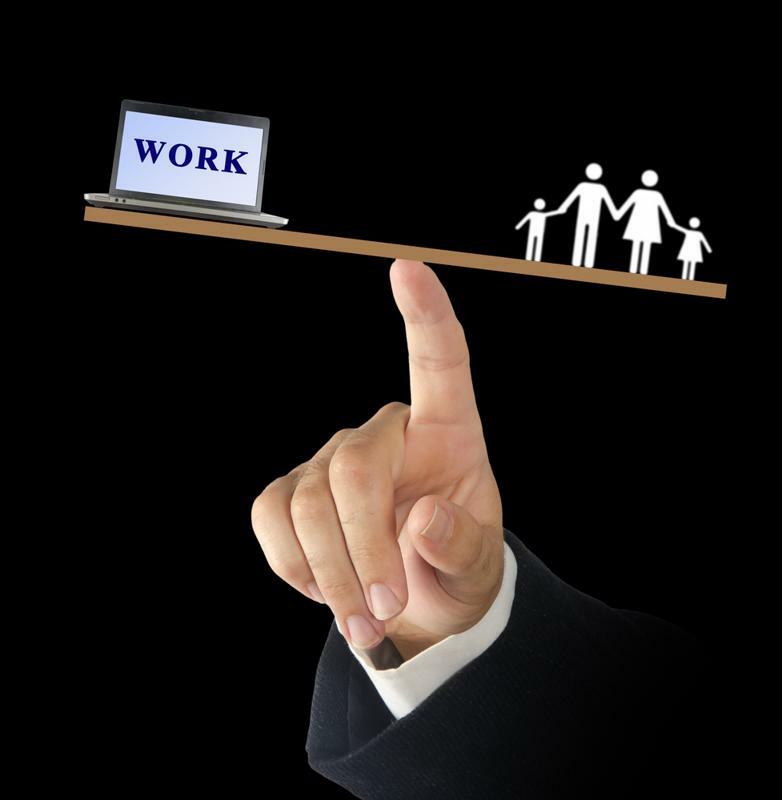 Despite its challenges, however, a work-life balance can definitely be achieved - you just need to know how to divide your attention and arrange your priorities. If you're having a hard time achieving this elusive equilibrium, use these four tips. It's all too easy to get roped into things you don't want to - and don't have to - do. While saying "yes" to everything might open you up to some unexpected opportunities, it also leaves you with no time. If you're currently accepting every invitation and taking on every responsibility that comes your way, you should sit down and reevaluate what's actually important. According to market research performed by ProOpinion, about 31 percent of respondents indicated that this is one of the most effective ways to achieve a healthy work-life balance. "Cut out excess duties in your personal and professional worlds." Of course, this means cutting out excess duties in both your personal and professional worlds. For example, you may need to say "no" to coaching three of your daughter's teams, as handling all these commitments means you'll have to leave work early three times a week. Instead, ask her which sport is most important to her, and plan to duck out early on days when you need to lead those practices. Conversely, you should let your boss know that staying late every night to help with other people's projects just isn't an option anymore, as you don't get home until after the kids are asleep. Recommend that people ask you questions earlier in the day or contact you via email with any time-sensitive concerns. Like with many issues, communication is key to achieving an effective solution. In fact, your work-life balance probably got off-kilter in the first place because you neglected to be open with others about how you needed to divide your time. Craig Cincotta, Chief of Staff and Vice President of Communications at Porch.com, wrote in Entrepreneur magazine that all workers should have discussions with their superiors about how they need to arrange their schedules. "Do you need to leave work at 5 p.m. so you can have dinner with your family? Do you need to step away at 12 p.m. to attend a yoga class? Whatever your sweet spot is you need to find it and be transparent about it," he explained in the publication. Opening the lines of communication with your manager will make him or her better understand your busy life, and it will ease the anxieties that come with saying "no" to a duty or slipping out pre-5:00 PM to make it home for dinner. If you're tipping the scales one way or the other, you need to reevaluate your work-life balance. If you're like many professionals, you adhere to your calendar pretty strictly. Use this dedication to further your work-life balance by creating a set schedule and sticking to it. If you currently have different personal and professional calendars, combine them into one. After all, you only have one life, so all your commitments should be stored in one place. This way, you can see exactly how much time you're spending in the office compared to at home, and you can also note whether you're allowing professional responsibilities to bleed into your personal time. "Treat each calendar entry as if it's set in stone." Although it can be a difficult habit to get into, treat each calendar entry as if it's set in stone. If you've scheduled your work day to end at 5:30 PM, resist the urge to answer the email that pops up at 5:34 PM. You know all too well that answering one more email can easily spiral into you spending two more hours at the office and missing out on your son's school play. Similarly, if you've established a business lunch for noon, don't arrive late because you attended a morning exercise class. Living in the digital age, you're inevitably plugged in at all times. Even after you power down your office computer, you're still checking your smartphone and tablet on your commute and arriving home to open up your laptop. While work tasks were once relegated to the office, technology has made it possible for professionals to do their jobs anywhere at any time. And although this has made working from home a convenient option, it also means that people are taking their careers home with them each night. If you tend to keep working once you've gotten home, you're not respecting the "life" portion of your work-life balance. Forbes magazine noted that, although it can be difficult, you need to turn of work-related technology after you've left the office. This means deactivating email alerts on your phone, letting professional calls go to voicemail and only firing up your laptop to check YouTube for funny animal videos.